Why ADT is a "Buy"
On Oct. 25, an investor group called Corvex Management filed a 13-D with the SEC. As required by law, Corvex had to disclose that it had acquired more than 5% of a company. Corvex is an activist investor. It does not buy stocks to sit on them. It buys them with the idea that there is some identifiable catalyst that will send the shares higher. Corvex pushes for that catalyst by engaging with management. This 13-D was interesting because it included a 50-page presentation on how to unlock value in the target company by way of “equity shrink.” We’ll get to what this is further down below. But in preview, this $41 stock could be worth as much as $92 per share. As it happens, the target company is a new spinoff from Tyco that began trading on Sept. 28. And it is our new special situation. ADT (NYSE:ADT) is a well-known company and probably needs no introduction. It is the leading home security company in the US and Canada, with 6.5 million subscribers. It has a 25% share of the market, which is nine times larger than its nearest competitor. This is a business 100 years in the making. ADT — founded in 1874 as the American District Telegraph Co. — began offering burglar alarm systems in 1910. It became a public company in 1960. Tyco, the big conglomerate, bought it in 1997. In 2010, Tyco bought ADT’s biggest competitor, Brink’s (and paid 42 times recurring monthly revenue, or RMR. More on this in a minute). On Sept. 28, ADT became an independent once again. ADT has six monitoring centers and handles more than 19 million alarm signals annually. About 90% of its revenues are recurring monthly subscriber fees. Customers sign three-year initial contracts and on average stay for seven-eight years with an annual attrition rate of about 13%. This compares very favorably to other subscriber-based businesses such as DirecTV (18%) or cable TV (21%), or telecoms like Verizon and AT&T (15-18%). ADT’s customers are sticky. There are two ways ADT gets these customers. It has its own internal sales force, which generates about 55% of its new customers. And it purchases new accounts from an exclusive dealer network. It costs ADT about $1,700 to add a customer through its own sales force and about $1,200 if through the dealer network. Offsetting much of these upfront costs are installation fees of about $650 per account. ADT enjoys a 70% gross margin on the recurring fees and gets its money back on a customer after about three years. (Hence, the minimum three-year commitment). After that, it’s all gravy. So how ADT does depends on its ability to retain customers after that three-year term. If it can get to seven years, then ADT’s annual return on that account reaches an impressive 30%. The business has great economics and generates lots of cash. Those cash flows are growing. Its recurring revenue is up 45% since 2009, for example. Because ADT has to shell out cash to acquire new customers, its actual free cash flow is masked. Free cash flow, after dividends, is about $200-$250 million annually. If ADT stopped adding new customers, ADT’s “steady state” free cash flow would top $800 million. The current market cap is around $9 billion. 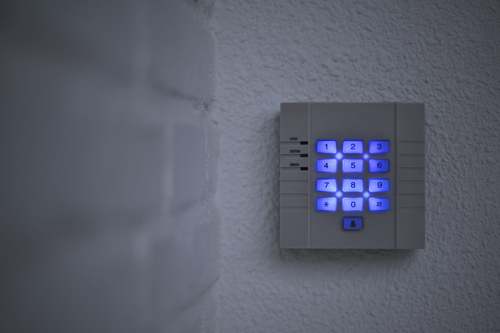 Home security is also a recession-resistant industry. ADT grew revenues 4% in 2008 and 3% in 2009, when most of the economy was shrinking. The overall industry also grew right through the recession. Management’s target is 5-7% annual revenue growth. If ADT grew 3-4% during the recession, I see no reason why it can’t do better even in a flat economy. So that’s first part of the equation: “predictable, growing cash flows.” The second piece is the balance sheet. ADT has little debt relative to its cash flow. Under more aggressive assumptions, Corvex gets to $92 per share. I think that’s probably a stretch and won’t happen anytime soon. But what’s appealing about ADT is that you don’t need the aggressive scenario to make a good return here. And given the business, it’s pretty low risk. Indications are that management is talking to Corvex. That is a good sign. If they do some sort of transaction, it will mean a swift jump in share price. But even if management does nothing immediately, ADT could be vulnerable to a takeover. Various players could do a deal. One name tossed around is John Malone’s Liberty Media, an aggressive acquirer of steady cash flow businesses. In a transaction, ADT would command a 20% premium over today’s price — at least in my view. Even without a share buyback or a takeover, ADT is in a good position to grow its business. Having spun out of Tyco, ADT’s management is now free to grow the business and focus on it in a way that it could not have done as part of the larger conglomerate. And it has some cards to play on this front. For example, a new product called Pulse is doing well. Pulse costs 30% more than the base product, but only 3% of current ADT customers have it. ADT has just started to roll this out in earnest. In June and July, more than 30% of new customers signed up for Pulse. This excludes the dealer network, which got the product only this fall. There is no reason why Pulse customers can’t make up half of the subscriber base over time. As for risks, there are always at least a few. Some say that ADT’s business is vulnerable to competition by cable companies. This has been a threat for over a decade, and so far no cable company has had much success. Besides, with the awful reputation of cable companies, I have to wonder how many people would turn over their home security to Comcast. In any event, it seems easier to just buy ADT outright than build such a business from scratch, given current valuations. Another criticism is ADT’s historically low tax rate (6-8%). ADT has over $1 billion in tax shields, which should ensure that it maintains its low tax rate for another five-six years. But there is some doubt about this in the marketplace. If ADT were unable to use these tax shields for whatever reason, it would be a surprise and have a negative impact on the shares. Otherwise, I see few risks unique to ADT. In other words, there is always a chance management could screw it by doing something dumb, but that is not a unique risk to ADT. And there is always a chance market multiples collapse (as in 2008). Again, a risk not unique to ADT, and such a repricing would most likely be a temporary impairment. So now you have the key outline of the story. I’m going to make ADT a speculation. First, it is new and there are a number of disclosures still missing. Management has not given its capital spending plan and other smaller details. This has prevented some Wall Street analysts from getting behind the stock. Yet I think this is typical with spinoffs. As we get some distance between now and the Sept. 28 birth date, these details will come. If we wait until all the knowable unknowns are known, then the opportunity may very well slip by. Therefore, I recommend adding it now as a speculation. I believe the underlying business is a good one with a decent shot at growth and improved profitability as the company begins its journey as an independent company once again. It also fits my profile for a Special Situation on multiple levels — it is a spinoff (a classic special situation) with an activist investor and defined catalysts to boost the share price.